Impatiens – What To Do? Gardening is fun, but if you don’t have a garden or if you live in a cold climate, growing your own vegetables might seem impossible.Nevertheless, there are alternative solutions if you want to eat your organic veggies no matter where you live. If you don’t have a garden where to build a greenhouse, you can create your own indoor vegetable garden by simply using pots and seeds of your favorite vegetables. 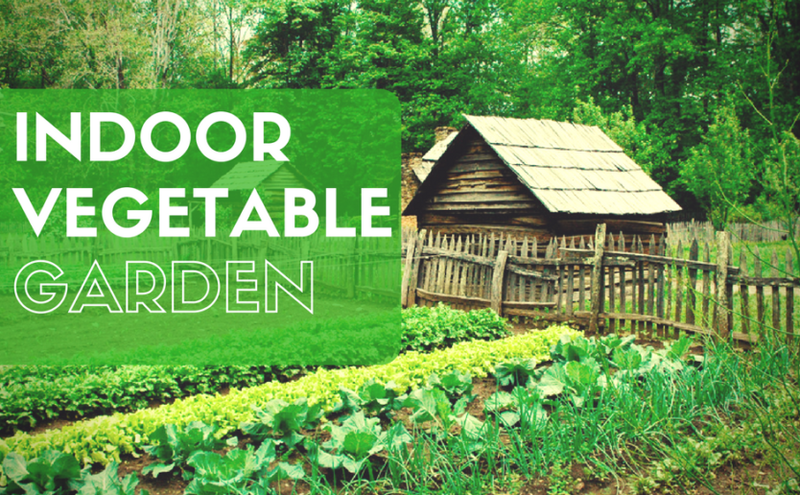 There are quite a few options you can choose from when it comes to growing vegetables indoors. If you want to find out which goodies you can grow in pots, read this Indoor Vegetable Gardening: 37 Edibles You Can Grow Indoors In The Winter. Tomatoes are one of the vegetables that can successfully be grown indoors during winter. They will probably be smaller than their outdoors grown sisters, but they will still be extremely tasty. To grow tomatoes indoors you should use unglazed pots to ensure a proper airflow. Also, check that the pots have a good drainage before seeding the tomatoes. The pots should be about six inches deep and the seeds should be planted at about ¼ inch in garden soil.The tomato varieties that can be cultivated indoors are Toy Boy, Tiny Tim, Florida Petite and Red Robin. If you like squash, know that this plant can also be grown indoors, despite its rather large dimensions. You can choose between Crookneck squash or butternut squash, although other types might also be grown in pots.To grow squash in your kitchen you should choose an unglazed pot of about 12 inches deep. The ideal diameter is about 24 inches. Check the bottom of the pot to make sure it has drainage holes.To make sure you get at least a healthy squash plant, you should seed at least three seeds in the middle of the pot, leaving a space of a few inches between them. Don’t forget to water regularly, preferably on a daily basis. Cucumbers are other vegetables you can grow indoors. On the market, there are available seeds of cucumbers created specifically for indoor growth. They can be more expensive compared to the garden types of cucumber seeds, but you will achieve better results. The pots dedicated to the cucumbers should be large. Cucumbers need a lot of space during development. Also remember that they are vines, so you have to create a climbing structure and place it in the pot. When it comes to the environment requirements, know that cucumbers also need a lot of direct sunlight and temperatures between 73 and 79°F. Pay attention to ensure a lower temperature during night time for better results. Red or green, bell peppers can be grown in a pot without problems. One thing to pay attention to when planting bell peppers is the soil you use. Bell peppers need a lot of nutrients, so the best soil you could use is a mix of vermiculite, peat moss and coarse sand in equal proportions. You can either buy the soil from a nursery or make your own. You should plant two or three bell pepper seeds in each pot. Place the pots with bell peppers in a room with a constant temperature between 65 and 75°F, positioning the pots in a spot where they can get direct sunlight. Just like bell peppers, hot peppers are another type of vegetable that can be grown indoors in the winter. The conditions are similar to those required by the bell peppers, but you can use smaller pots. Besides vegetables, the herbs you use for cooking can also be successfully grown indoors. One of these herbs is the basil. Growing basil in pots is extremely easy, as the plant doesn’t require any special conditions. You should only choose a plastic pot and a soil that is rich in nutrients. To achieve better results, you can use organic fertilizer and place the pot in a spot that gets plenty of sunlight (or use artificial light instead). Parsley is another herb that can be grown in a pot. You can use any type of pot that fits on your window sill as long as it has a few drainage holes on the bottom. Place a saucer under the pot to collect the drained water. You should make sure that your parsley gets at least six hours of direct sunlight daily. Alternatively, you can use a fluorescent light to stimulate growth. In the case of parsley, air moisture should be your concern. If the leaves look dry you should increase the air humidity. Rich in iron and other nutritive elements, spinach is a vegetable that shouldn’t miss from a balanced diet. If you want to eat your own organic spinach this winter, know that growing it indoors is simple and fun. All you need is a pot of about six inches deep and potting soil for vegetables that can be purchased from a nursery.Place the pot in direct sunlight and water regularly to encourage growth. You can use spinach sprouts to add flavor to your dishes or wait until the plant is fully grown to use it for salads or cooking. Like many other salad greens, kale can be easily grown indoors in plastic or terra-cotta pots or trays. You will need to use a soil that is rich in nutrients and water the crops regularly. Kales don’t need any special conditions to grow other than plenty of light. For this reason, you should choose a location that benefits from direct sunlight or use a fluorescent lamp to encourage growth. Swiss chard can be used to add flavor to your sandwiches and salads, the crispy leaves of this plant being rich in nutrients. Indoors, it is possible to grow baby Swiss chard in plastic trays or containers.You can choose a variety that is suitable for indoor gardening, such as golden chard, magenta sunset or ruby rose Swiss chard.You will be able to harvest the crops in about two weeks. If you love salads, then growing lettuce indoors this winter is a must . There are many lettuce varieties and some of them are more suitable to be grown indoors than others. You should choose your favorite variety from Tom Thumb, Baby Oakleaf or Black-Seeded Simpson. You can plant the lettuce in any type of pot or container, the only requirement being the depth of at least four inches. he pot should be placed in direct sunlight. If this is not possible, invest in a fluorescent lamp to stimulate growth. Although it might seem easy to grow rosemary in a pot, this plant is actually one of the most problematic among the many edibles that can be grown indoors in the winter. The main problems that arise in the case of rosemary are mold, pests, and problems related to the inadequate sunlight. This doesn’t mean that you can’t grow rosemary indoors. You just have to use a sandy soil, place the pot on a windowsill in direct sunlight and use a few organic pesticides to reduce the risk that the plant starts developing parasites. If you believe that your plant will not get sufficient sunlight, use artificial light to stimulate growth. Chives can virtually be used in all homemade dishes, being a delicious herb to have in your kitchen. Chives are easy to grow indoors, but there are a few things they need if you want to have a constant crop. First of all, you should use clay pots filled with well-draining potting soil. The plant needs constant sunlight during the day, so consider investing in a fluorescent lamp if you can’t place the pot in direct sunlight. Chives also like humidity. The best thing to do to ensure a constant level of air moisture is to place the chives pot between the other pots or use a cold mist humidifier to increase the air humidity. An aromatic herb that can add flavor to many dishes is thyme. This plant can be easily grown indoors in a clay pot or planter that have at least one large drainage hole. Unlike most of the herbs that grow well in potting soil, thyme needs a special blend of the soil if you want to grow a healthy plant. To make the soil you should mix peat moss, perlite, sand and potting soil. The pot should be placed in direct sunlight, but the plant can tolerate well indirect light, so you can grow it on your kitchen counter as well if you don’t have a window exposed to the sun. A favorite of your feline friends, catnip is a herb that is really useful for human too. In fact, catnip tincture can be used to alleviate the symptoms of colic, reduce fever or reduce stress. Catnip is a plant from the mint family. It is easy to grow indoors and doesn’t need special care. All you have to do is to choose a pot with drainage holes in the bottom and a type of soil that drains the water well. Position the pot on a windowsill in direct sunlight and water regularly. In summer, you can even transplant the catnip outdoors if you want to. If you want to prepare delicious salads, garnish your sandwiches or add some flavor to your stir fries, sprouts shouldn’t miss from your indoors garden. Sprouts are basically small plants that grow without soil. They can be made of a wide variety of vegetables, including broccoli, fenugreek, lentils, beans, radish and much more. To grow sprouts you can choose to purchase a ready-to-grow kit that will give you the seeds and the growing container. You will only have to add water and wait for the plants to grow. Alternatively, you can plant seeds of your favorite veggies in a pot filled with potting soil and harvest the sprouts soon after they germinate. In this case, wash thoroughly the sprouts before consuming them. Other delicious vegetables that should be on your list of indoor vegetable gardening are the turnips. They come in many varieties and can be used for many delicious dishes. To grow turnips indoors you need large pots of about 8 inches deep. You should choose a slightly alkaline soil that should be rich in organic matter. Ideally, you should mix regular potting soil with compost to obtain the right soil. Once you planted the seeds, place the pot in direct sunlight and water the soil regularly. You will be able to harvest your turnips after about two months. It might seem strange, but actually, it is easier to grow carrots in a pot then in the garden. For this reason, carrots should be on the list of vegetables you want to grow in your indoors garden. Not to mention the nutritive properties of this veggie.To plant your carrots, choose a deep pot and fill it with potting soil. Sprinkle the carrot seeds on the soil and wait for them to germinate. Remove all the plants that are too crowded to allow the other ones to grow properly. The pot should be located in a sunny window and you should water your carrots each time the soil is dry. As soon as the root turns orange you can harvest your crop. Although it seems impossible, potatoes can be grown indoors and it is quite simple to do it. Growing potatoes in a pot will let you control the characteristics of the soil and experiment with your gardening skills. If you decide to plant some potatoes this winter, choose large pots of at least six inches deep. Fill them with regular garden soil or with potting soil mixed with sand in a ratio 10:1 – potatoes don’t need a soil that is rich in nutrients but prefer sandy soil.Plant your potatoes sprout directly into the soil. Place the pot in direct sunlight and water frequently. That’s about it! Now you only have to wait for your potatoes to grow. Wheatgrass can be used to make delicious juices and smoothies or it can be added to vegan dishes to add flavor. Growing wheatgrass is extremely simple and there are no special requirements. Usually, the regular potting soil is all that you need, in addition to a pot or container that is not extremely deep. Once the wheatgrass germinates you can decide for how long you want to let it grow before harvesting. It is advisable to use a pair of scissors to harvest your wheatgrass as it will produce less damage to the plants. Parsnip is one of the vegetables that don’t pair well with the indoor gardening . However, if you have some patience and determination, you can still grow your own parsnip from the comfort of your home. If you decide to give it a try, choose really large pots and only plant fresh parsnip seeds. Choose alkaline soil. Both the pot and the soil should have good drainage properties.Because parsnip roots are generally large, you should pay attention to plant the seeds at a distance from each other. When it comes to watering, make sure the soil is damp but not soaked. A tasty vegetable and a medicinal herb, asparagus is one plant you might want to grow in your indoors mini-garden. Before deciding if you want to grow this vegetable, you should know that asparagus is not a plant meant to be grown indoors. This can be achieved, but it will shorten the lifespan of the plant. If you still want to grow asparagus indoors, you should choose a large and deep pot that must be located in direct sunlight. Choose a well-draining alkaline soil and ensure that the temperature is between 50 and 80°F. Also keep in mind that you shouldn’t harvest the crops for at least two years if you want to grow a healthy plant. Beets are easy to grow indoors, being a perfect vegetable to start with if you have little or no experience in gardening . These vegetables can add a lot of flavor to many dishes and the best part is that you can use both the plant and the root. Being very adaptable, beets can be planted in any type of pot. The soil requirements are not strict, and you can successfully use regular potting soil mixed with sand. The only things to pay attention to is to not overcrowd the pots and to use deep pots that allow the beet roots to grow properly. Ideally, you should harvest the beets when the roots have the size of a golf ball. First of all, you should know that Jerusalem artichokes are not artichokes. They are a peculiar plant that resembles a sunflower, has tuberous roots that look like small potatoes and tastes like chestnut. They can be used to add flavor to many dishes, and above all to the roasted meat. Jerusalem artichokes can be grown in large and deep pots, ideally black and made of plastic. The ideal soil is made of garden soil mixed with potting soil and compost in equal parts. Jerusalem artichokes need little maintenance. Just make sure you locate the pot in direct sunlight and that you water it once a week. A plant with many benefic properties, celeriac can be grown in pots during winter or even in summer if you don’t have a garden. You should choose a large pot, preferably made of unglazed clay or terra-cotta. You should use regular potting soil mixed with compost. The celeriac seeds should only be placed above the soil, as they need light to germinate. If the plants are too crowded, you can plant each one in an individual pot soon after they germinated. Not many know that one plant that can be grown indoors during winter is rhubarb. The process is not simple and you will have to follow a precise procedure, but if you want to use your own chemical-free rhubarb in the off-season, the effort is well paid. To grow rhubarb indoors you first have to select a few rhubarb roots of a large diameter. Use large pots or half barrels to plant your rhubarb, then place the pots outside and leave them to freeze for a few days. Move the pots into a cool place (about 50°F) and keep them in total darkness. After a few weeks, you will be able to harvest your first rhubarb stalks. Commonly grown as a salad green, arugula is a vegetable that pairs well with pots and indoor gardening. You can use any type of pot or container, the only requirement is to provide sufficient drainage. For this reason, pay attention to choose a pot that has a large amount of holes in the bottom. You should place the pot in direct sunlight for at least four hours a day. Alternatively, you can use a fluorescent lamp to ensure about 14 hours of light daily. This will maximize your production. If you like green beans then you will be extremely happy to find out that there is a variety of g﻿reen beans that can be grown indoors in a pot. The bush-type variety of green beans needs a lot of sunlight for proper development and must be planted in a soil that is rich in nutrients. Ideally, you should choose a soil enriched by compost. Instead of pots you should use narrow containers of about 8 inches deep. The temperature of the soil should be kept at about 85°F and you should make sure that the surface of the soil is always moist. When it comes to watering the plants, you should water at the root level, using a sausage under the container to provide the water.The green beans should be ready to harvest in about two months after planting. Small, sweet and delicious, the mandarin oranges can be used to flavor the oriental dishes or to create sophisticated dinners. Even if they are not really vegetables, they are still worth mentioning in this list of 37 edibles that you can grow indoors in the winter. Mandarin orange trees can be bought from a nursery. A mandarin orange tree needs a large pot, preferably made of unglazed terracotta or clay, and a well-draining soil. If you want to make your own soil, mix equal parts of vermiculite, sand and peat moss. You should choose a sunny location, preferably in a room that has a constant level of temperature and humidity. To avoid transplanting the tree when mature, you can plant it in a large enough pot from the start, keeping in mind that a dwarf mandarin orange tree can reach 6 feet in height at maturity. Growing avocado indoors is possible, but you have to know that it is very unlikely to obtain fruits from a tree grown from an avocado seed. Nevertheless, there are dwarf avocado trees created especially to be grown in pots. You should use glazed terra-cotta pots and choose a sunny location for your tree. A fertilizer will probably help the plant grow stronger and produce more fruits. Another thing you should do is prune the tree regularly. Removing the dead leaves will increase the health of your avocado plant that will eventually produce more fruits. Don’t forget to transplant the tree into a bigger pot if it outgrows the original one. Not many people know that growing mushrooms indoors is not only possible but also really simple. If you decide to give it a try, the first thing to do is to decide what type of mushrooms you want to grow. The procedure is more or less the same for all varieties, but you will have to use an appropriate soil for each type. Usually, the mushrooms that can be grown indoors are white button, Shiitake and Oyster mushrooms. Choose your favorite type based on your personal taste. Mushroom spawn can be bought from the local nurseries and planted on an appropriate medium. One thing to do is to sterilize the soil before planting the mushrooms to ensure the growth of healthy plants. Keep the pot in a dark and moist environment for better results. Mint can be used for a wide variety of purposes and it can be grown inside without problems. You should use a good soil to ensure the health of your mint plants. You could buy the soil or make it yourself. If you opt for the second solution, you should mix peat, sand, and perlite in equal proportions to obtain a soil that is suitable for mint.Mint is one of the plants that don’t need direct sunlight. Nevertheless, it needs plenty of indirect sunlight, so make sure to choose the location wisely. The ideal temperature should be about 70°F and you should also pay attention to maintaining the air humidity in the room where you grow your mint plant. Spicy and delicious, ginger is a plant that can add a lot of flavor to many oriental dishes. Ginger can also be used to spice up cookies or it can be added to tea or other infusions for flavor. If buying ginger can be expensive, growing it in your own home is easy and fun.If you decide to grow ginger at home you need a pot filled with regular potting soil. Ginger like shady spots so locate the pot away from direct sunlight. To grow your own ginger all you need is some ginger root that you can purchase at the local store or supermarket. Remember that ginger needs a lot of time to mature, up to 10 months, but it doesn’t need special care other than regular watering. Radishes are probably the simplest vegetables to grow inside. They grow quickly and are very easy to harvest. To grow radishes you need a large and long container filled with a mix of compost, sand and garden soil. You can add organic fertilizer to the soil if you want your radishes to grow even faster but pay attention to choose a soil that doesn’t hold the moisture.The roots, which are the edible part of the radish, start growing immediately after germination and can be harvested as soon as they are large enough to eat. A delicious addition to many recipes, scallions can be grown on your windowsill without problems not only in winter but all year long.The soil should be sandy and rich in nutrients. The environmental temperature should be kept around 65-73°F. The only thing to pay attention to is to water the soil each time it dries and to place the pot in direct sunlight during the day. Also known as coriander, cilantro is one of those herbs that can add a lot of flavor to many dishes.Although it prefers open spaces and direct sunlight, cilantro can be easily grow﻿n inside during winter. If you want to grow a healthy plant, you should choose an unglazed terra-cotta pot that has plenty of drainage holes on the bottom. Plant a few seeds at 3-4 inches of distance in a rich and sandy soil. The watering technique is essential in the case of cilantro. You should pour water over the plants until it comes out from the drainage holes. Water the crop only when the soil in the pot is completely dry. Garlic greens are really easy to grow indoors. All you need is a pot, a soil rich in nutrients and a sunny window. Garlic greens have no particular requirements when it comes to ideal temperature and air humidity, but you should water the soil regularly. The best part about the garlic greens is that you can grow them for an indefinite period of time using the same plant. As you can see, there are many vegetables that can be grown indoors during winter, or in all seasons if you don’t have a garden at all. Now, you only have to decide which veggies you want to grow. What do you think? Which will be your first indoor grown vegetable? Leave a comment below and share your opinions with us. If you believe this list is useful, share it with your friends too. They might also find that indoor gardening is a valid alternative to buying veggies from the supermarket.